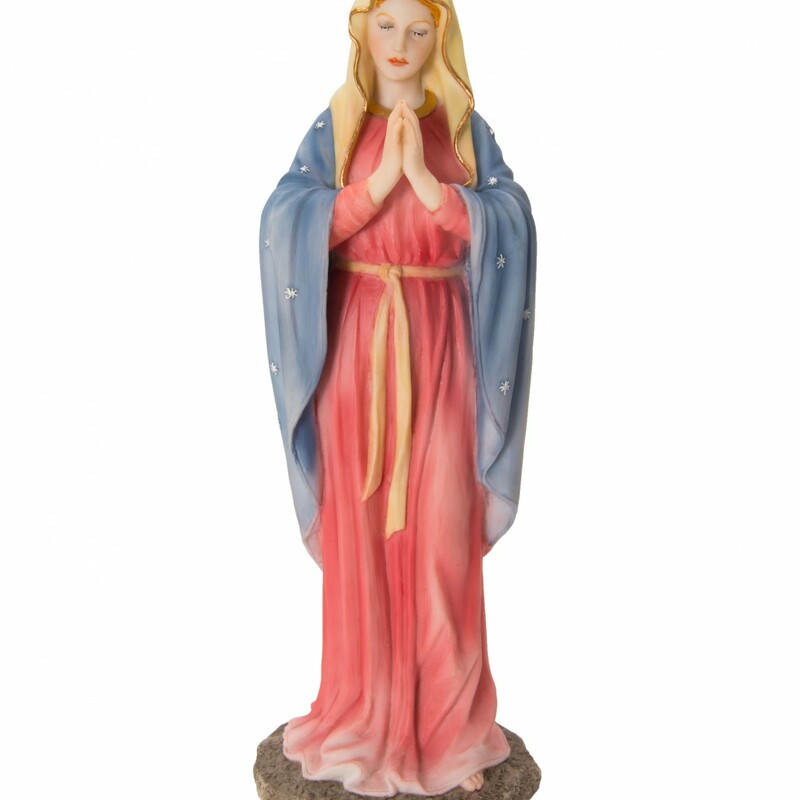 Two different sizes of a delicate featured statue of the Blessed Virgin Mary while praying. 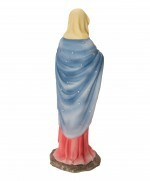 She wears a yellow headscarf, and rose-colored gown and a blue cape with silver stars. 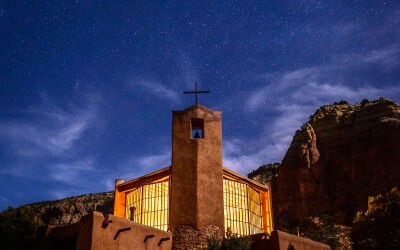 All in all, it is quite impressive. 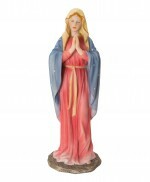 The flesh tones of this hand painted statue are realistic and the facial expression is quite pleasing. 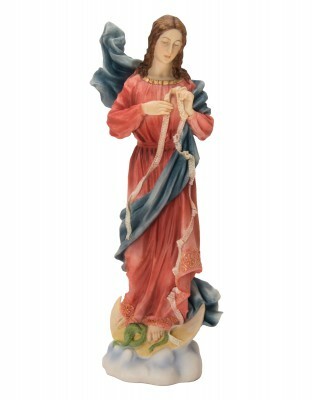 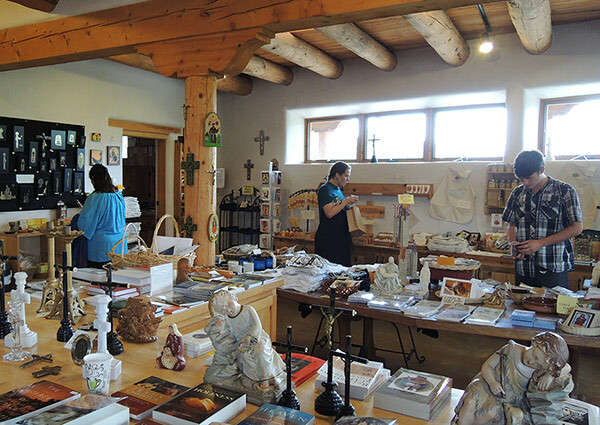 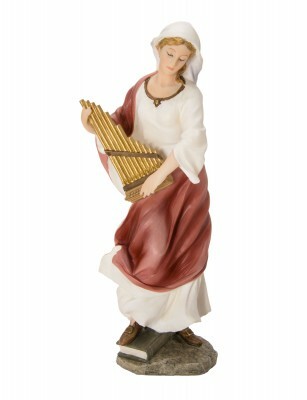 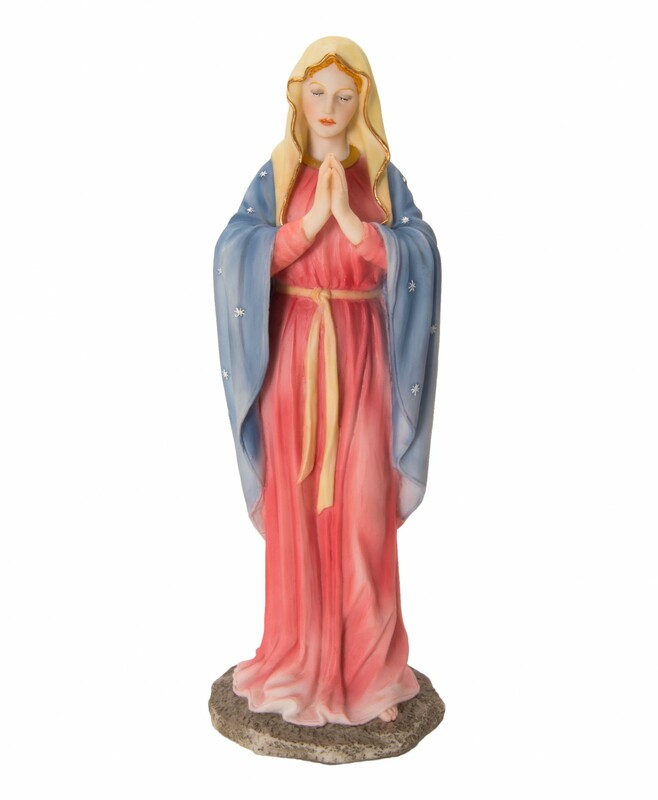 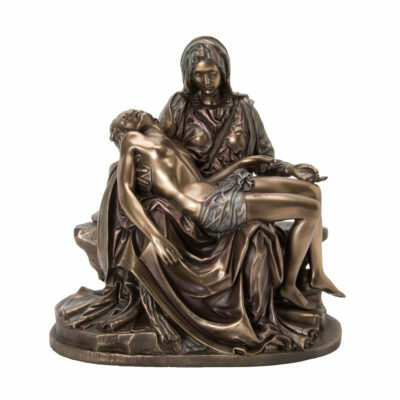 It is a statue for the top of a nightstand, or a table in the home, or in the prayer room, for it will aid reflection and admiration for the Blessed Mary’s intercessory prayers on behalf of those who ask for them. 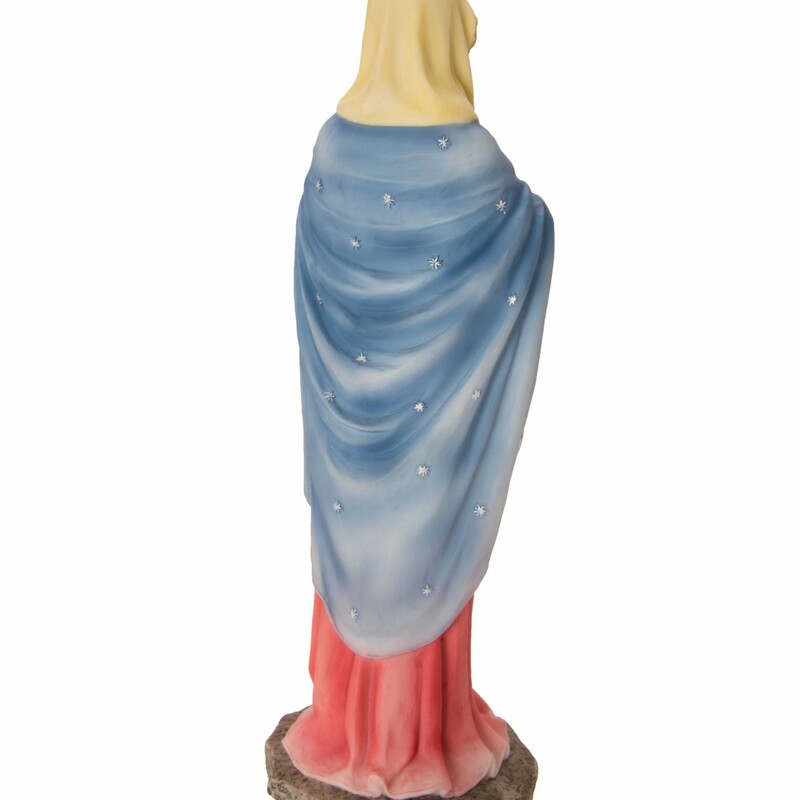 The statue is hard resin but has a kind of color painted porcelain appearance to it and is quite weighty, especially the larger version.